Paul Myron Ricci, 70, passed away February 10, 2017. He was born June 8, 1946 in Boston, Massachusetts to Louis J. Ricci and Anna (Caggiano) Ricci. He was of the Catholic faith and was very charitable to Catholic sponsored organizations designed to help others in need. He loved to sing and was an opera performer and wrote a musical play. His greatest love was to buy antiques to fix up and resale for a profit. He was preceded in death by his parents Louis Ricci and Anna (Caggiano) Ricci. 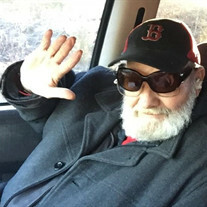 He is survived by his son Christopher Ricci and his wife Sally, his cousin Anthony Caggiano and his wife Madilyn, and three grandchildren: Colin, Cameron, and Stella. Visitation will be Tuesday, February 14th from 1-2 PM with the funeral service beginning at 2 PM both at the Willis Funeral Service Chapel. Interment will follow at Kyler Cemetery. In lieu of flowers donations may be made in memory of Mr. Paul to the Independence Inn c/o supervisors Katie or Christy 1355 E. Main St. Batesville, AR 72501.